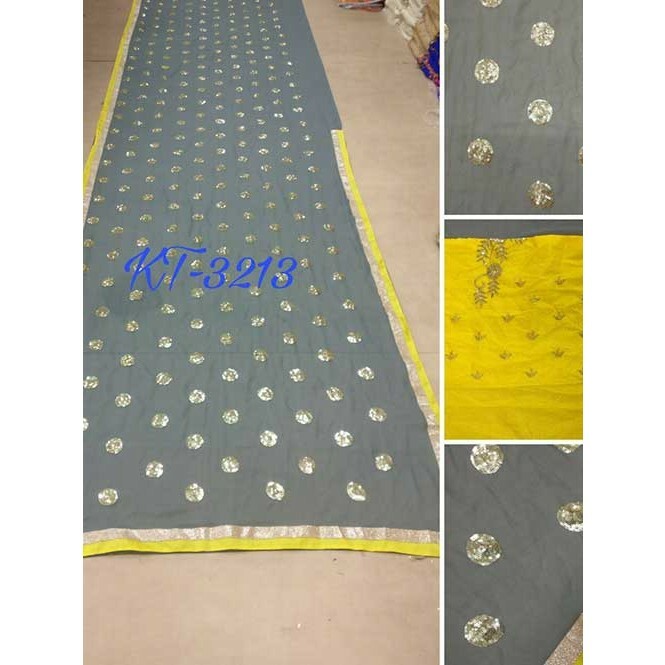 This is a Grey Colored Beautiful Embroidered 60 Gm Georgette Saree Wedding/Party Wear Bridal Saree. 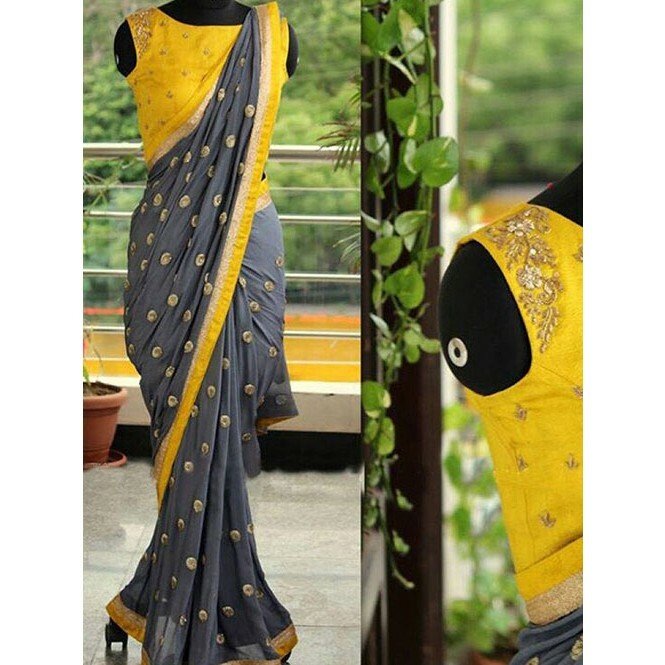 This Saree comes with an attached Banglori Silk blouse fabric. 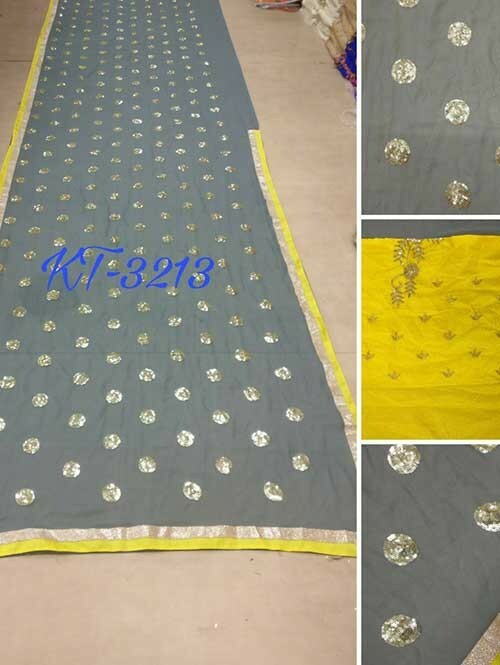 Wear this saree for special occasions, festivals, friends/family get-together, parties, ceremonies or rituals.The fabric is comfortable and easily drapes around your body to provide the perfect fit and shape.